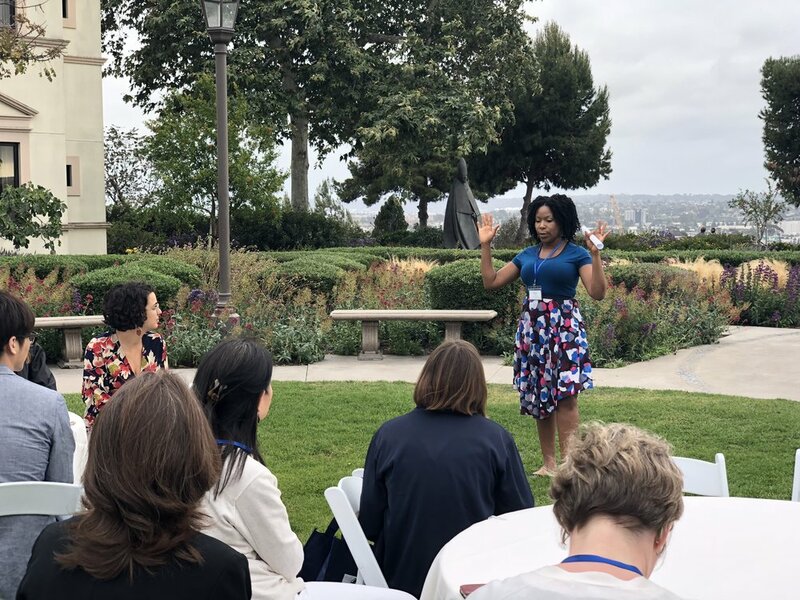 The University of San Diego’s Kroc Institute for Peace and Justice generously hosted the annual ARNOVA SEES Colloquium for Research on Social Entrepreneurship. This was Dr. Weaver’s first time hosting the event as the Chair for ARNOVA SEES. 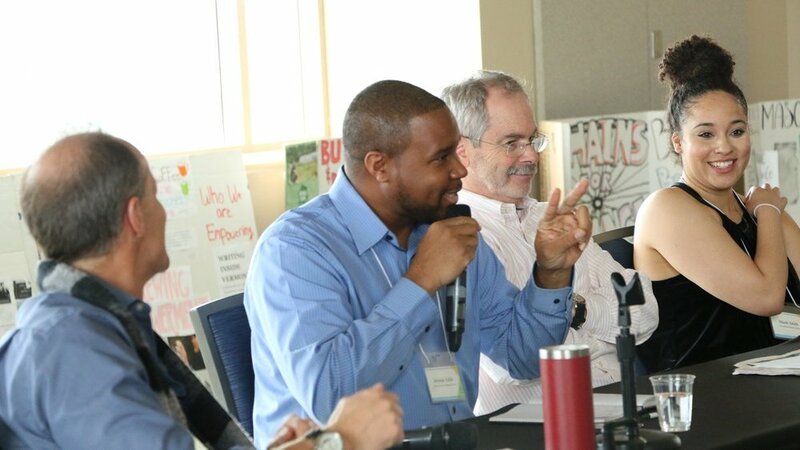 The event consisted of approximately 20 researchers from throughout the United States and various representatives from social enterprises such as Frontera Founders and Kitchens for Good that exchanged knowledge about how to advance the work of social enterprises. On April 26, 2018, Dr. Weaver launched Weaver’s Social Enterprise Directory, a publicly available, online directory of over 1,000 social enterprises throughout the United States. The directory includes contact information, social activities, legal structure, and information about the goods and services of each business. Each year, the directory aims to recruit more social enterprises in an effort to map the community of social enterprises throughout the country. With that information, the public, researchers, and policy makers will have a greater understanding of how social enterprises are influencing the fight against social problems like poverty, unemployment, environmental issues, and more in American society. 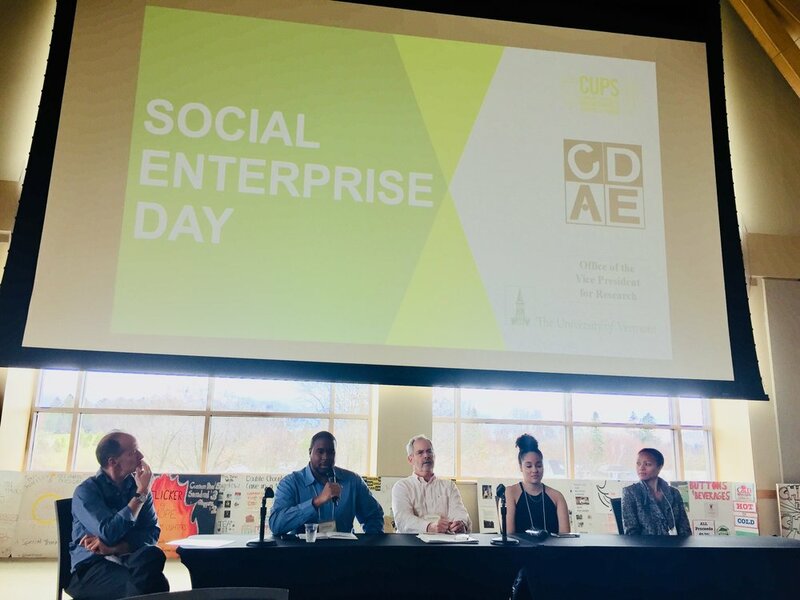 The launch took place during the University of Vermont’s Social Enterprise Day, a day Dr. Weaver created as a faculty member there to celebrate businesses that aim to foster positively social change. Explore the video and photos from the event below! Professor Weaver is interviewed by Vermont's WCAX News Anchor Eva McKend about her Social Enterprise Directory that will launch on April 26, 2018. Dr. Weaver gave a keynote speech on "How Believing in Yourself Can Transform Your Community" at the 4th Annual Grand Rapids Neighborhood Summit in Grand Rapids, Michigan on Saturday March 3, 2018. A video of the speech is provided below. The keynote timestamp is 20:00 - 42:00 and is followed by a brief question and answer session. The article "Street Talk: West Side Meijer Taking Shape" in the Grand Rapids Business Journal called the speech "inspirational." At the 2017 Association for Research on Nonprofit Organizations and Voluntary Action (ARNOVA) conference in Grand Rapids, Michigan, Dr. Weaver was elected Chair of the Social Entrepreneurship/ Enterprise Section for the association. Dr. Weaver discusses where her interest in studying social enterprises comes from and why the University of Vermont's Department of Community Development and Applied Economics is a great place for teaching and researching social enterprises.